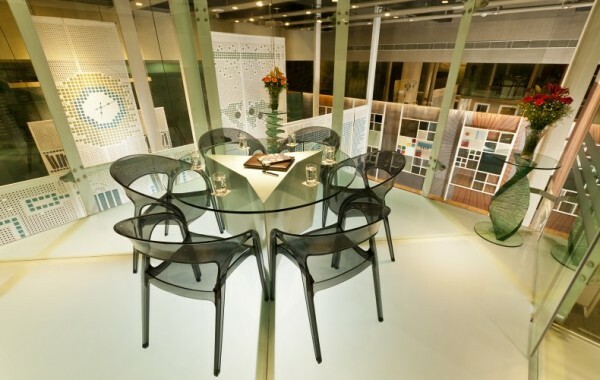 Aditya Bhutani shares with LifeSpice the number of ways glass can be safely and aesthetically used within the house. 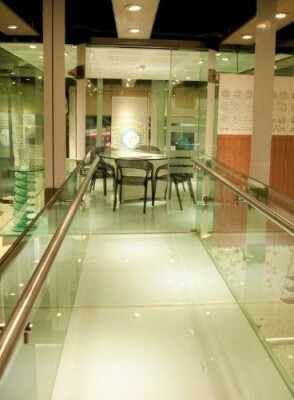 Decor ideas: Glass centre table, glass chairs and glass side tables. Traditionally, the materials used to design and decorate homes have been wood, metal or cloth furnishings. Few people realise that delightfully beautiful effects can be achieved with glass. Available in a stupendous variety of styles, colours, designs and textures, glass has the potential to create stunning ambiances that have the power to transform living and elevate lifestyle. Variety of glasses like lacquered, crackled, etched and frosted, tempered, laminated, ceramic frit, patterned, printed, etc. can be used to create sophisticated and contemporary interiors for home or office. Mirrors can bring about a complete transformation to interior design. The wide range of available effects, patterns and colours gives contemporary and stylish look to the interiors. 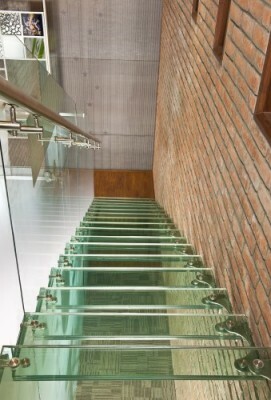 With recent innovation in glass and glass fittings, any design can be executed for glass stairways. Various designs can be explored in options of tempered, heat strengthened and laminated glass with pipe handrails, glass fins, glass slides etc. Glass can be transformed into a distinguished range of stylish yet functional furniture for homes and office use. They provide customers with a perfect combination of style and strength. Variety of glasses like lacquered, crackled, etched and frosted can be used to create sophisticated and contemporary range of furniture. It is for those who want to create stylish interiors without worrying about breakage. Glass can be used for making tables, shelves, cabinets, etc. 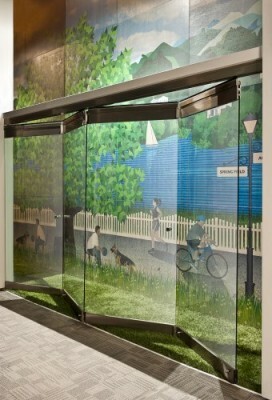 Partitions – movable or fixed – are the creative answer for facilities needing a physical, not a visual, barrier. Glass partitions include frame less, acoustic, weather-resistant, wood and custom-made glass dividers. They can be custom made in tempered, laminated or art glass. Glass Screens and Shower Enclosures are specifically designed to cater to the modern lifestyles offering utility as well as aesthetic appeal. Glass Screens and Shower Enclosures are made of high quality tempered glass which, apart from being extremely safe and durable, also provide a positive illusion of more space, making a bathroom seem larger. A shower enclosure adds beauty to a bathroom, giving it a contemporary look and at the same time fulfilling the basic criteria of a separate wet and dry area leaving the bathroom looking great at all times. Balustrade is an important safety feature in the design of any building, but this doesn’t mean the design of the balustrade itself cannot improve the aesthetics of the building. The use of glass in balustrade, either as a stand-alone material or in combination with a metal, can add significant prestige and value to a building. Lacquered glass especially for use in interiors makes kitchens look fresh and innovative. It can be used in humid environments. Functionally, it is hassle-free to clean and maintain and is hygienic as well. It is also durable and remains unaffected by moisture and scratches. It may come as a surprise to many people that glass can be the appropriate material for achieving privacy, given that its defining characteristic – and its popular perception – is that it is transparent. However, few people know that glass is a versatile material which lends itself readily – functionally, ecologically, aesthetically and economically – for building and construction purposes in general, and as a privacy solution in particular. New and superior products like glass with integrated blinds, glass with view control film and switchable glass help in maintaining the connection between the inner and outer world while successfully creating a boundary between private space and public sphere. 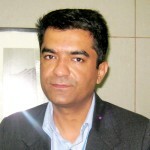 Aditya Bhutani is Director & COO of Asahi Glass India Ltd. (AIS) Glasxperts. AIS Glasxperts is AIS’ lifestyle solutions specialist that delivers expert solutions in glass for interiors of homes, offices and commercial spaces. Their solutions not only add aesthetic value to interiors but also offer absolute privacy, reduced energy consumption, greater safety and security. For more information on their services, please view their website. * All pictures have been shared by Asahi Glass India Ltd.